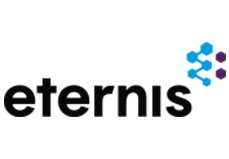 Avendus Capital advises Eternis Fine Chemicals on the acquisition of Aims Impex Pvt. Ltd.
Eternis Fine Chemicals Ltd, a Mumbai-based aroma chemicals manufacturer today announced the acquisition of 100% of the share capital of AIMS Impex Pvt. Ltd, a Nashik based manufacturer of flavour & fragrance and specialty chemicals. The terms of the transaction were not disclosed. AIMS is a market leader in synthetic Coumarin, a popular fragrance ingredient. With this transaction, Eternis will strengthen its presence in the Coumarin market. This acquisition would synergize AIMS’ strong leadership position in Coumarin with Eternis’ robust marketing and distribution capabilities and access to a wider base of customers. Avendus Capital was the exclusive financial advisor to Eternis for this transaction. Eternis Fine Chemicals Ltd is one of the largest aroma chemical manufacturers in India, and among the top 10 aroma chemical players globally. Owned by the Mariwala group and led by Rajen Mariwala, the company started selling aroma chemicals in 1988. Today, Eternis is a USD 100mn company, catering to all the major global F&F houses, with over 80% of its revenues coming from exports. Eternis’ key products include Hexyl Cinnamic Aldehyde, Hamber, Benzyl Salicylate, PTBCHA, OTBCHA, Coumarin and Phenyl Ethyl Alcohol. About AIMS Impex Pvt. Ltd. Founded in 1989 by Shiv Narayan Sanwal, AIMS Impex Pvt Ltd (formerly known as Atlas Fine Chemicals Pvt. Ltd.) is a leading manufacturer of Coumarin, 6-Methyl Coumarin and other specialty flavor & fragrance chemicals. Based in Nashik, India with manufacturing facilities in Sinnar (Maharashtra), AIMS products are used by all the major global and leading Indian F&F firms. Avendus’ wide range of clients is testimony to its ability to serve its corporate clients throughout their life cycle – from growth stage funding to complex, large sized transactions later in the cycle.